Steve Graham digs deeper into LP grooves with a Canadian phono board. Richard Murdey is a Canadian originally from Newfoundland and Labrador. The audiophile bug bit him early on courtesy of his Dad, but Richard discovered DIY while doing his PhD at the university of British Columbia. He lives in Japan with his family and does post-doctoral work at Kyoto University, exploring solid state physics and physical chemistry. Specifically, he studies the conductivity and photoconductivity of molecular semiconductors. (WOW!) Through his Phonoclone website, Richard promotes some of his DIY ideas on topics ranging from phono amps, line and headphone amp design, D to A converters, and interconnect cables. 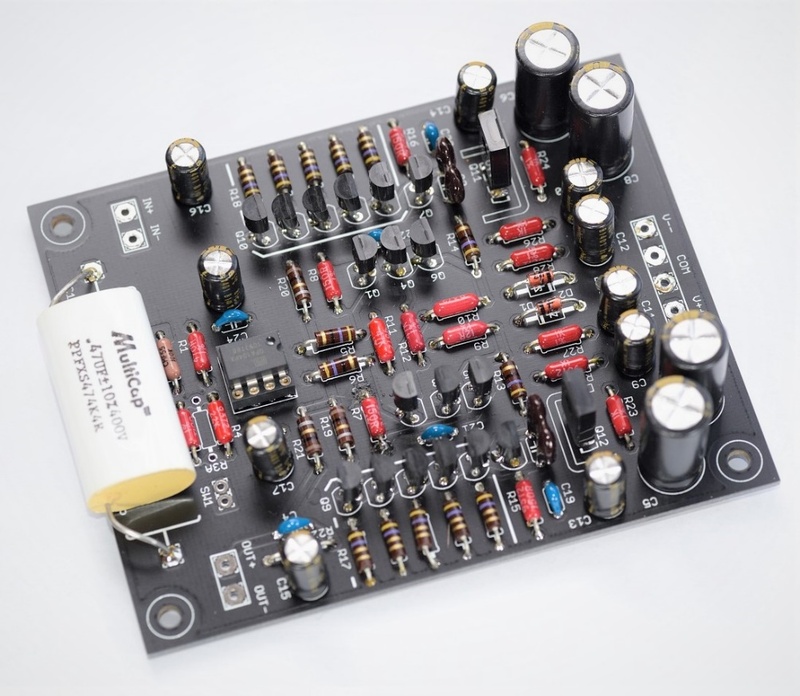 Some of his audiophilic musings have made it to hardware available for purchase, either as PCB’s only, or with a complete set of parts as well. As I’m on an LP comeback right now, I wanted to sample one of RJM’s phono boards. To that end Richard is sending me a pair -each channel has its own board- of the VSPS 400 Phono Stage, assembled and ready to go. After I put the boards in a chassis, wire them up and do the review, Richard has graciously offered to let me buy them, return them, or sell them to a WoS follower. If sold, all moneys raised will go support my favourite charity, Georgian Bay General Hospital. Same deal as my line stage build from earlier this year – I’ll give you faithful Wall of Sound readers first wack at buying the unit, even if I love it a lot.